Architects use sheet sets all the time to pull together the many required drawings into one package. Other disciplines use them less often, but if you need to deliver a number of drawings together, they can help you organize and maintain them. A sheet set is a DST file that contains the properties of the sheet set. You start with drawings that have model space content; these are your resource drawings. One layout for each drawing becomes the sheet in the sheet set. Therefore, a sheet set is a collection of layouts, one for each drawing. In a folder where you normally save drawings, create a new subfolder and name it so that you’ll recognize the drawings that will be in the sheet set. Create your drawings as normal and save them in the new folder. For easiest workflow, don’t put any other drawings in that folder. Start a new drawing, because you need an open drawing to create a sheet set. 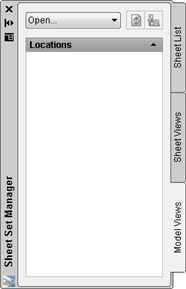 Choose View tab> Palettes panel> Sheet Set Manager or press Ctrl+4. From the drop-down list at the top of the Sheet Set Manager (SSM), choose New Sheet Set to open the Create Sheet Set wizard. Choose the Existing Drawings option and click Next. Enter a name for the sheet set and a description. Notice that there’s a default location for the sheet set, which is a DST file. This will probably be in Documents\AutoCAD Sheet Sets. Use the default, or click the Ellipsis button to browse to another location that you want to use, and click Open. Click Next. On the Choose Layouts page, click Browse, navigate to the folder where you saved the drawings for the sheet set, and click OK. You see the folder listed with a checked check mark. Click Next. You now see a preview of the sheet set’s properties, including its name and location. Click Finish. You should see your new sheet set listed in the SSM on the Sheet List tab. Click the Model Views tab of the SSM. Double-click the Add New Location text. In the Browse for Folder dialog box, navigate to the folder containing the subfolder that has your drawings. Chose the folder and click Open. You are designating a folder location for the drawings that the sheet set will use. If you haven’t already done so, you should create a layout that displays what you want to plot. To do so, on the Model Views tab, expand the folder if necessary. Then double-click the first drawing to open it. 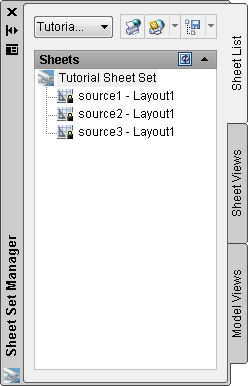 One task that the sheet set feature makes easy is opening multiple, related drawings. Each drawing needs to have a saved layout. Click the Layout button on the status bar, or click the layout tab. (The SSM works best when you have only one layout per drawing.) Create the viewport(s) and views that you want, and save the drawing. Do the same for all of the drawings. Click the Sheet List tab. Now, you can add layouts as sheets in your sheet set. Right-click the name of the sheet set and choose Import Layout as Sheet. In the Import Layouts as Sheets dialog box, click Browse for Drawings. Choose the drawings you saved in the subfolder (click the first, press Shift, and click the last) and click Open. Click Import Checked to return to the SSM. Congratulations! You now have a sheet set. To give the sheets numbers, right-click any sheet, and choose Rename & Renumber. You can then drag them on the Sheet List tab to reorder them. To plot the sheets, select them on the Sheet List tab, click the Publish button’s down arrow , and choose Publish to Plotter. To eTransmit them, right-click the name of the sheet set and choose eTransmit. To ZIP them, right-click the name of the sheet set and choose Archive. Throughout these steps, you’ll see various settings that I didn’t mention. Investigate them to get the exact results that you want. To specify properties for the entire sheet set, right-click its name on the Sheet List tab and choose Properties. The advanced features of sheet sets help you to automatically number and annotate text in title blocks, callout blocks, and label blocks. I am having problem getting the callout block catalog to work. format of DXf.Any one to assist me….. The “Sheets Happen” tutorial was as great help in expanding our use of sheet sets through the SSM, but there are many references to tabs and options that seem to no longer exist. 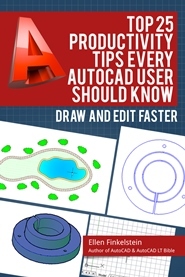 Does anyone know of an updated version of “Sheets Happen” that take into account the changes and improvements made in AutoCAD 2012? What about the inverse of this. I often have several drawings open (read-only) that I can refer to when creating a new drawing – some for reference and some possibly to copy from. Can I get AutoCad to remember this ‘set’ so I can open them with one button next day? Do you mean delete a sheet? You can do that from the Sheet Set Manager. Right-click the sheet and choose Remove Sheet. I’m unsure how to reach you for this topic (server restrictions), but I was able to reach your publication via this link. Our issue is simple, and you may have published a solution in an earlier/different document. We create drawings that have multiple layout tabs (AutoCAD E) due to extensive schematic wiring/grouping requirements. When envoking a title block update automation for our project set, all the Layout tabs, regardless of section or sub-section, within that drawing (dwg) file are numbered the same. How does one setup AutoCAD E to auto-number each Layout tab using the title block update routine? Do you have to pull each Laout into a sheet set to accomplish this task? We are using AcadE 2013. I’m not aware of any way to control the names of layouts except through sheet sets. It might be possible with programming, but I haven’t seen that. Hi Ellen, in creating a sheet set I added several drawings from different disciplines, however, they did not go into the sheet set manager in numerical order. I know this is only a small problem but is there any way that this can be acheived? Thank you. G.
My team uses One file per project that has multiple layouts. Please explain how to do this same setup with that configuration? hot to create a sheet from 3d. i.e convert it into orhtographic view. Hi Ellen, I have Autodesk 2013 and I am having constant problems with the “Create a Sheet Set” and Create a Template” box constantly popping up when I want to open or close a drawing file. I do not use nor need either of these 2 features. How can I turn them off or delete them entirely? I have tried to set all values to 0 but that doesn’t seem to help. I have spent countless hours on line with Autodesk and looking at forums, but I can’t seem to find anyone who can help. I don’t have the Subscription Service through Autodesk so I can’t call them. Any suggestions? Can anyone tell me how to convert Attribute field value convert into Plain text rather than manually? Umesh, try the Burst command. It’s in the Express Tools Menu > Blocks > Explode attributes to text. Or just type Burst at the command line. Is that what you are looking for? I have several drawings that do not have any page set-ups completed. Their titles are in model space. How do I create a sheetset for these? Ellen, I have been using sheet sets for several years. Recently one thing in my ss has become “disconnected”? My template has my drawing settings with fields in the title block which are controlled by the ssm. However when I add a new sheet to the set,I uses my template,(OR COPY AN EXISTING FILE FROM THE SET) I edit the titleblock info in the sheets properties dialog box by right clicking the file in the ss. After finishing editing this info, When I save the file the fields don’t update to the edited info I just did? Would you know what happened? I tried following the path to get to the SSM but the Palettes panel is not on my View Tab Ribbon. How do I get to the SSM or even get the Palettes Panel on my View Tab? 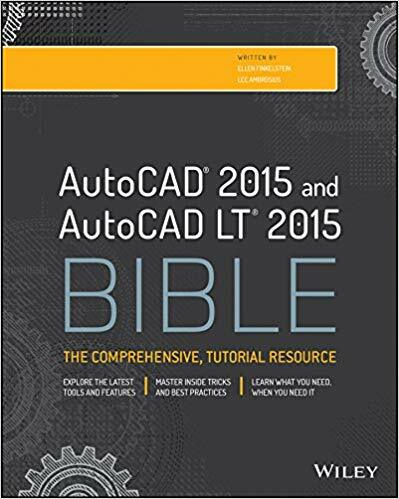 We are running the AutoCAD Arch. 2013, Design Suite. Jody, just go to your layout tab, do a save then back to the model tab. After this you should be able to add the sheet tothe set. When creating a sheetset I’ve been having a problem with it renaming the main file when I rename the sheet. I see a box to unclick for renaming the file, but it’s locked and wil not allow me to turn it off. Any ideas? Rao Umer: Converting 3D to 2D is pretty simple via either “solprof” or changing views and plotting. But going the OTHER way, from 2D to 3D means that you need to learn how to use commands such as “extrude” or “revolve” and actually create your entities as solids in the first place. A whole new way of drafting, there is no “single-click” way of converting your flat plans into 3 dimensionaly objects. It’s a long (but FUN) journey. Rao Umer: Converting 3D to 2D is pretty simple via either “solprof” or changing views and plotting. But going the OTHER way (as you have asked), from 2D to 3D means that you need to learn how to use commands such as “extrude” or “revolve” and actually create your entities as solids in the first place. A whole new way of drafting, there is no “single-click” way of converting your flat plans into 3 dimensional objects. It’s a long (but FUN) journey. I’m experiencing troubles in uploading existing layouts to my Sheet set. When I click on “add existing layouts” nothing happens. I’ve tried to see if the file is already linked to other SSM project using SSFOUND and it says “Read only”. Does anybody know how to solve the issue? How we can add multiple layouts in a single file??? Could you please help me.